A fourth collection of poetry by Minx Boren. The author says, “For me, poems are a way to pare feelings, and the thoughts they evoke, down to their essence, to something essential. As such, each is a unique doorway into the realm of Self.” Unlike self-help books that offer good advice, poetry allows the reader to confront his own truths and touch her own deep wisdom. In Ripe, my creative muse has taken a big leap. In partnership with Patti Burris, the wonderful artist whose paintings grace the covers of Soul Notes and Soul Notes Too, I have put together a collection of poems about sensuality and sexuality, in the wake of turning 50. 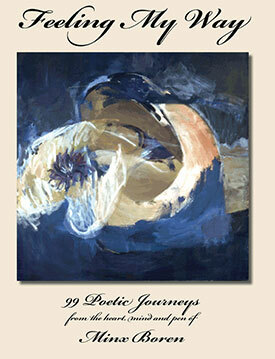 Each poem is presented in conjunction with one of Patti’s gorgeous and evocative paintings. AND each partnership of pear(s) and poem is artfully placed on facing pages by a talented graphic artist and book designer, Kenneth Ruelen. 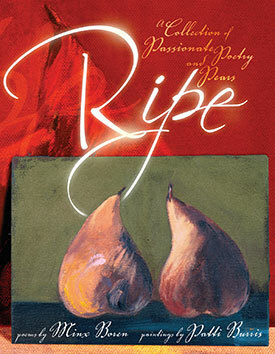 The result is Ripe – A Collection of Passionate Poetry and Pears published by and immediately available through Xlibris. Ripe is available in both hard cover ($28.99) and soft cover ($22.99) plus standard shipping @ $4.48 for one book plus $0.99 per additional book. Soul Notes Too is a second collection of poems. There is a basic premise in coaching that, if you want something new to come into your life, you must first clear out the old. Cleaning a closet, a garage, a desk seems to magically create an opening for new possibilities to emerge. 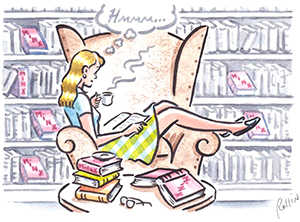 In this case, it was emptying the old hidden “shoebox” of poetry that provided the momentum. After publishing Soul Notes the creative floodgates opened wide and, since then, poem after poem has found its way onto paper, a number of which appear in this next collection. I have always enjoyed reading poetry and have been writing my own since my teens. I’ve written my own holiday poem for more than 30 years. I’ve composed (and read aloud) all sorts of people poems, tributes both humorous and serious, in celebration of special occasions. I published Soul Notes, a first collection of intimate poems after years of hiding them away in boxes. It felt very courageous to do so. Written (and mulled over and rewritten) over the past twenty years or so, the poems in Soul Notes have been shared with friends, during workshops I have led, and on the web in the Tea Garden. This small book is truly a labor of love. You are invited to open to any page and open your heart and mind to the words penned there.